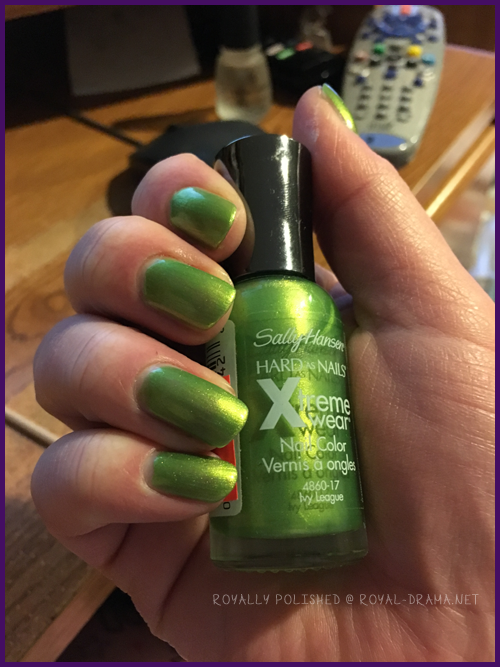 Note: I applied this polish on March 12th and took the photos on March 12th & March 13th. How many coats? : 2 for Ivy League, 1 for the glitters. First off, guess who managed to get photos in sunlight (I mean it was cloudy but OUTSIDE!)?! Kind of proud of myself haha. Anyway to the polish. 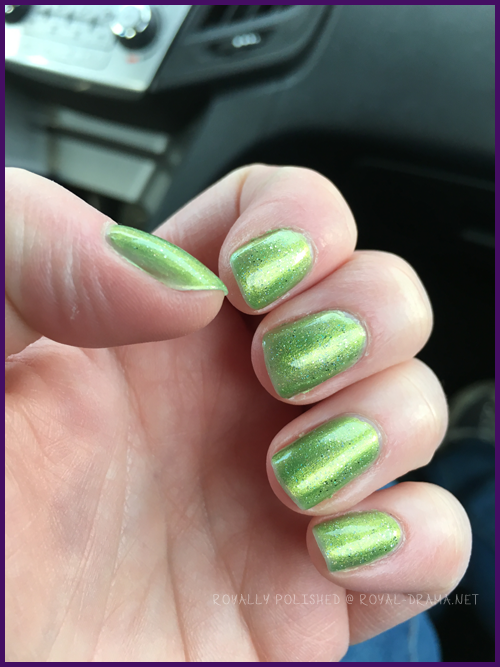 I decided to break my tradition of using my Sinful Colors greens for St. Patrick's day and did this frosty green instead by Sally Hansen. The first coat was rather streaky! You have to be careful with the streaks even with the second coat but that is something to expect for a frost finish. It looks really nice though! I decided to add glitter to it because, duh, it's me, so I added a coat of Sheer Luck. It didn't really look fun to me so I decided to add a coat of Fairy Dust which kind of filled in the gap of the other glitter and made it stick out. The dry time for everything wasn't too shabby considering I was using all drug store brands. 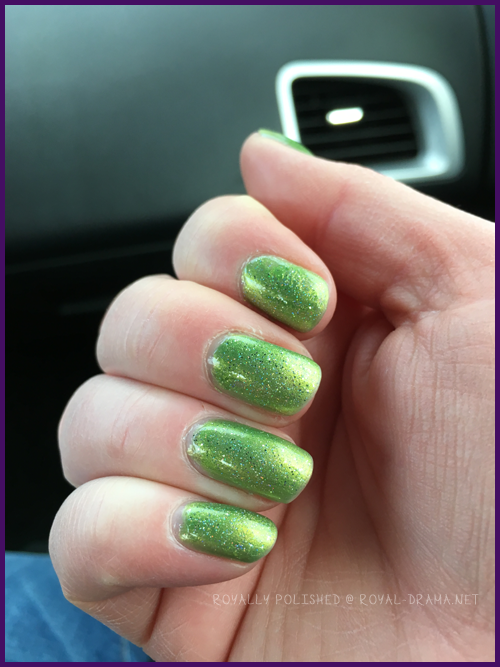 Overall I am giving this polish a 4 out of 6 stars. 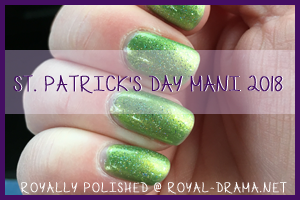 Loved the frosty green even though it is not a color I generally enjoy and it looked pretty with the glitters.